A week and a half. That’s how long those attending the 6th Annual AA-ISP Inside Sales Leadership Summit have to prepare. Throw in the end of Q1 and the start of Q2. April 8, the first day of the conference, might as well be tomorrow. 1. Attendance is seriously on the rise. 2. Attendees should have high expectations for content. 3. Attendees will have plenty of opportunities to make connections. 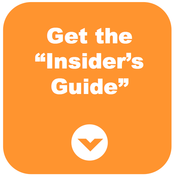 Get the eBook to find out what Larry says you cannot miss, along with other inside tips! Get a glimpse into our new eBook: "The AA-ISP Inside Sales Leadership Summit: An Insider's Guide."